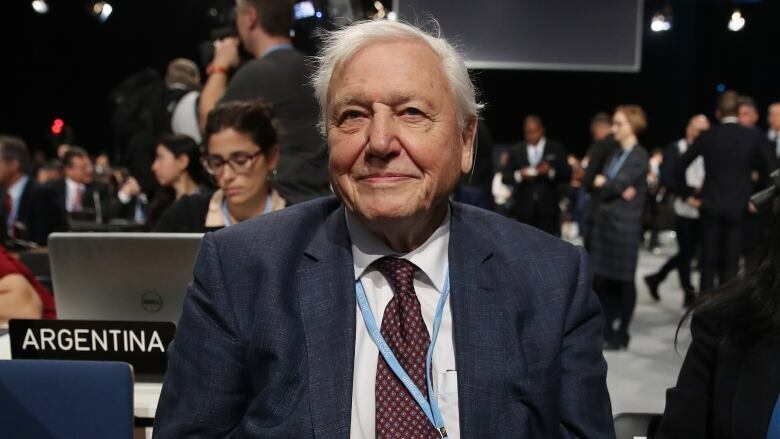 Famed British naturalist Sir David Attenborough tells the UN climate conference in Poland that the "collapse of our civilizations and the extinction of much of the natural world is on the horizons" if no urgent action is taken against global warming. Famed British naturalist Sir David Attenborough told the UN climate conference in Poland on Monday that the "collapse of our civilizations and the extinction of much of the natural world is on the horizons" if no urgent action is taken against global warming. The 92-year-old, whose TV series Blue Planet II was avidly watched as far away as China, has been credited with raising awareness of rampant plastic pollution in the oceans. A UN-sponsored deal was signed in 2015 to decide where the limits of global warming should be set, principally through a radical reduction in the use of fossil fuels. Two weeks of talks in Katowice aim to hammer out details of how that will be achieved. Asked about U.S. President Donald Trump's decision to abandon the UN process, Attenborough said on the sidelines of climate conference that the United States was "out on a limb." "I can only hope that, for whatever reason, whatever mechanism, that that will change in the United States," he told Reuters. "It shouldn't affect us and the whole of the rest of the world," he said, adding that everyone else was "absolutely clear" on the need for action. Trump last week dismissed projections in a report from his own government that climate change will cause severe economic harm to the U.S. economy. Attenborough, who has been broadcasting about the natural world since the 1950s, was on Monday the first holder of the "People's Seat" at the UN table. Climate advocates and citizens with views on or experience of climate change were encouraged to use the social media hashtag #TakeYourSeat to feed comments into his opening-day address, and influence the global debate. Attenborough said UN conferences could seem remote, and the hashtag provided "a way in which people can get their feelings across to those who are taking decisions on their behalf." He said he believed he had been chosen to launch the role because of his long experience of broadcasting, during which he has witnessed devastating change. In particular, he mentioned coral reefs. "If you're a naturalist or if you're not a naturalist, they are the most stunning things in the natural world," he said. "It's a most magical manifestation of life ... and you go to a reef which has been bleached, and it's gone. All you see is that the coral is dead." But now the young were demanding change. "We have all been living beyond our means. It's a perfectly simple thing. We knew not what we did," he said. "We have let down the young generation, and they know it, and they are angry."